for the new fashion inspired beauty collaboration! 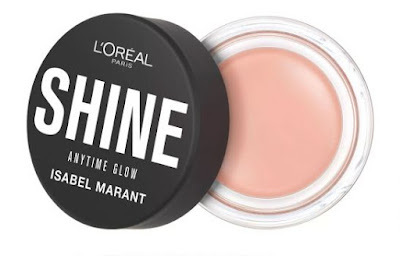 L’Oréal Paris x Isabel Marant collection follows the success of their lipstick collaboration with Blamain, the limited edition five piece on-the-go makeup collection includes five makeup products in shades and packaging designed by Marant herself. Isabel Marant creator of the wedge sneaker trend, Wanted collection is similarly to her runway aesthetic, “minimalistic” and said to be inspired from Isabel’s own runway designs. 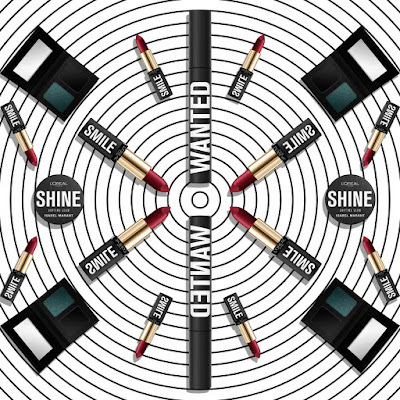 Marant’s makeup range is great for beauty-on-the-go, as it embraces a simple concept of having just a few necessary makeup products that a girl always carries in her bag and can be used in a very nomadic way. 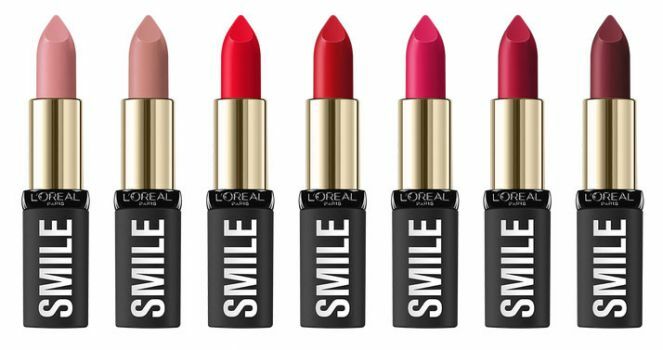 With a redesigned package that is welcome change to L’Oreal’s regular look. 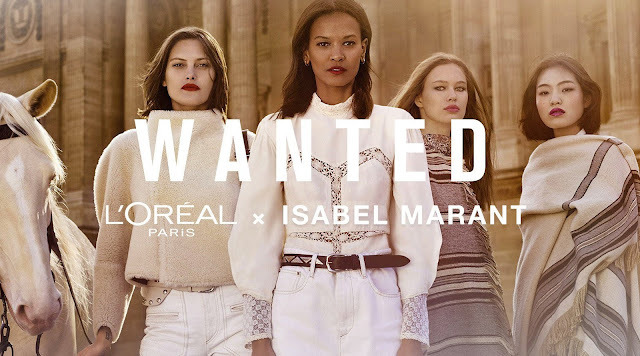 Everything is housed in semi-matte black with one word in big, bold, white letters, that fits the Isabel Marant style. Designed to help you channel that je ne sais quoi cool look of Parisian women, the collection is focused on creating a barely there makeup effect, something that Marant describes as “fake natural beauty.” The most colorful offering is a range of seven L’Oréal Paris’ Color Riche matte lipsticks, rendered in a very classical manner – a selection of reds and pinks to flatter any kind of complexion. 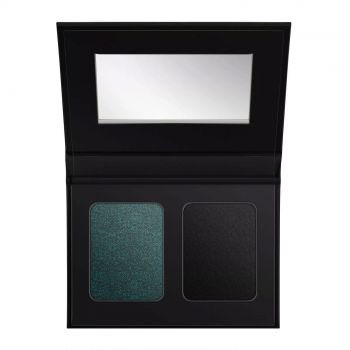 Eye Shadow Palette includes two edgy yet elegant shades, a matte black Coal Wind and shimmering deep green with blue reflects Scarabeo Storm. To pigment-dense, creamy formula ensures smooth application and high-impact color payoff. 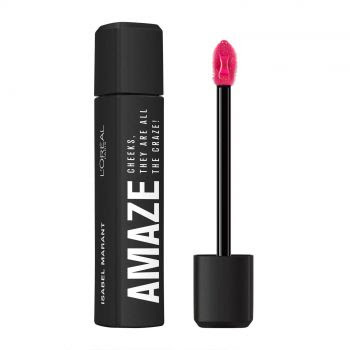 A brow styling product designed to help accentuate and polish brows and lashes. 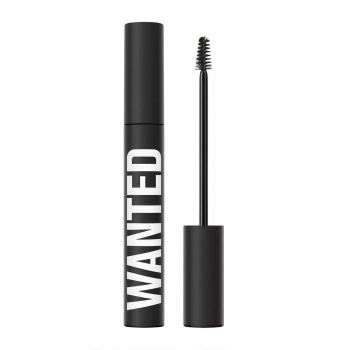 Delivered in an exclusive, Marant-designed packaging, the mascara adds texture and volume to enhance and define brows and lashes. It also provides a soft conditioning hold. 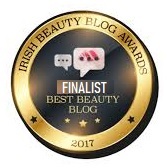 A creamy highlighter that enhances the skin, blurs out imperfections, and creates a healthy looking lit-from-within glow. The smooth and creamy formula applies seamlessly. Available in a universal pinky-peach shade, and great for on-the-go touch-ups. 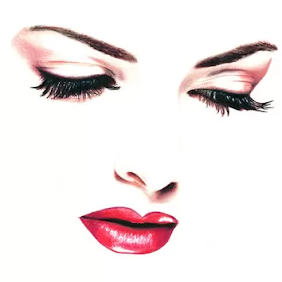 A a versatile pinky colored tint to accentuate the lips and cheeks with a healthy looking, flushed-from-within glow. This multipurpose product is designed by Marant herself. The glossy formula features a pH-reactive technology, so it reacts with your skin to create a unique, subtle flush of color. The L’Oreal Paris x Isabel Marant collection pre-launched online September 19th, and will be followed by a worldwide launch at L’Oreal Paris sales points and Isabel Marant stores on September 27th.